Welcome to the Holiday Inn Hotel Berlin City East! The Holiday Inn Hotel Berlin City East is just a few kilometres from Alexanderplatz in Berlin-Mitte with the Fernsehturm (TV Tower). Berlin's fashionable districts of Mitte, Prenzlauer Berg, Friedrichshain and Kreuzberg are easy to reach from hotel by tram. Holidaymakers, Berlin Visitors and families enjoy a spacious and friendly hotel to withdraw to after a busy sightseeing tour in Berlin. Athletes and fitness fans appreciate the hotel's proximity to the Velodrom and the Sportforum Hohenschönhausen. The modern 4-star Holiday Inn Hotel Berlin City East in the eastern part of Berlin provides spacious and light hotel rooms with air conditioning, all of them newly decorated in a fresh and clear design. Guests of our Berlin hotel can benefit from a restaurant with local seasonal cuisine, a cosy lounge bar with cocktails, a fitness room with modern cardiovascular and strength training machines. Additionally, a large parking space (for a fee) and an ATM machine is available at the hotel. The hotel's spacious business rooms with free WiFi internet connection are ideal for business travellers. Our modern Holiday Inn Hotel Berlin City East is an ideal hotel for meetings, events and conferences: A redesigned Conference Centre with 10 light-bathed meeting rooms and modern technology provides the perfect backdrop for professional events in Berlin. We provide full-service, personal event management and modern conference technology as a matter of course. Do you like running and excercising outdoors? We drafted a running track for our guests with a 5K and 8K distance, that starts right at our Holiday Inn Berlin City East – Landsberger Allee! If you would like more information, we are happy to provide it here! At every stage, we emphasize ecological management, energy saving and resource conservation. For this reason, the Holiday Inn Berlin City East was evaluated by the world's leading consulting and certification group EarthCheck and awarded the "Green Hotel" status level 4. The Mall of Berlin offers about 270 shops. It is a great shopping mal with great views ond amazing products and restaurants. The best Gulash in Berlin – homemade style like from Grandma. In the Osseria in Langhansstraße 103 you can eat original DDR food. My suggestion: At your reservation ask for contemporary witnesses as company for your dinner and share their memories with them. The shopping mall in Berlin's City East is a great place to dicover and buy clothes, gastronomy and food specialties. The shop Ostpaket in Berlin Carré offers an enormous selection from 40 years living and working in the DDR: Kosmetgrütze with grit, Sandmann tea, Badusan showergel and Wurzener peanutflips. Great for eastalgics. The old Stasizentrale (Office of Secret Police in the DDR) in Ruschestraße and the Stasigefängnis (Prison) in Genslerstraße 66 are the most frightening and most impressive memorials of the DDR terror regime. After a visit through the history of the DDR, I suggest the golden crispy Original Broiler (chicken) in the DDR museum. And just around the corner the ship landing place “Dom Aquaree” is situated and invites for a beautiful canal tour on the river Spree. We are so excited to give you new benefits. Discover the IHG® Reward Club! 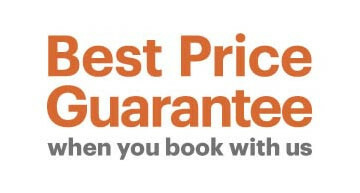 With the IHG® Best Price Guarantee you always get the lowest price for the rooms at the Holiday Inn Berlin City East Hotel on our website. Book and manage your stays at Holiday Inn Berlin City East - Landsberger Allee easier than ever on the app. Available for Iphone, Ipad & Android. Special exhibition in the hotel: In cooperation with the DDR Museum, the Holiday Inn Hotel Berlin City East presents an exclusive special exhibition on the life in the DDR in the open areas.